Summer has officially begun and what’s not to love? The days are sunnier, longer and warmer. 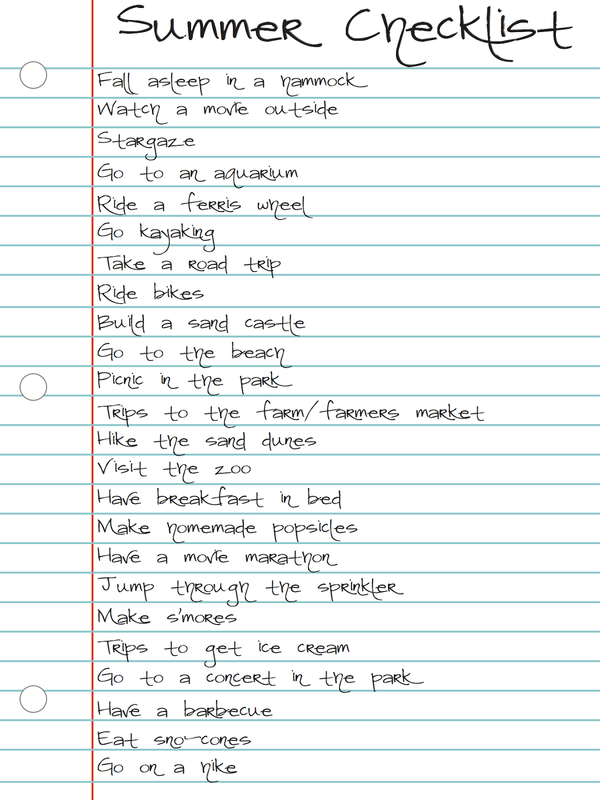 So there is no better way to celebrate the season than with a summer checklist filled with seasonal fun. 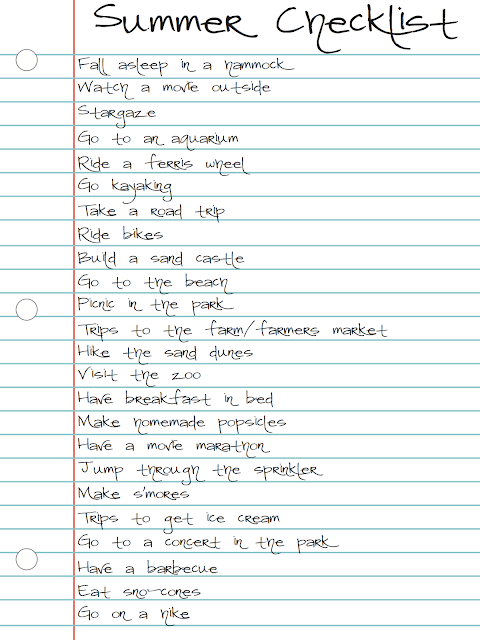 I hope it inspires you to make your own list or do some of the activities on my list. AHHH I need a hammock! Love your checklist! If it weren't so hot down here in Arkansas, I'd add sleeping in a hammock to my list, too : ) I hope you're having a terrific summer! Love it. We have a lot of things alike on our Summer to Do list.